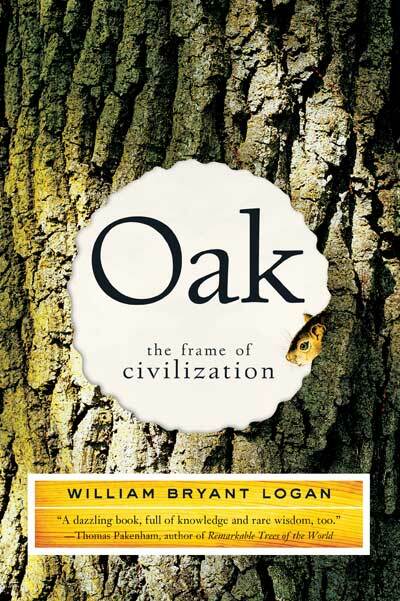 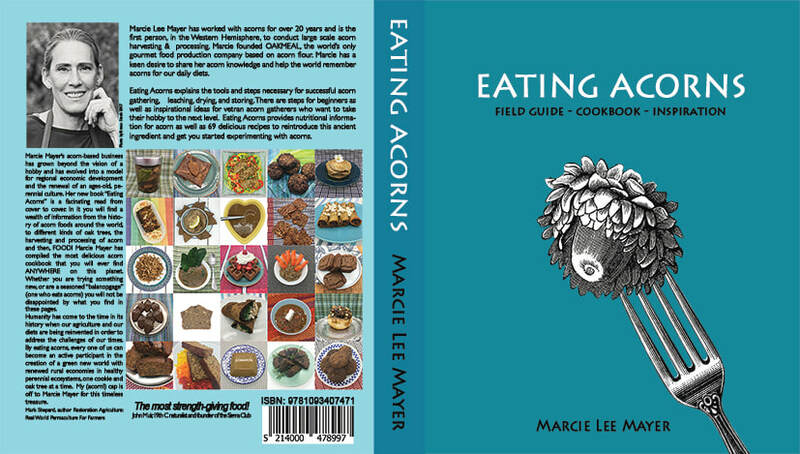 Eating Acorns - this unique & comprehensive book can be ordered here from the e-shop. 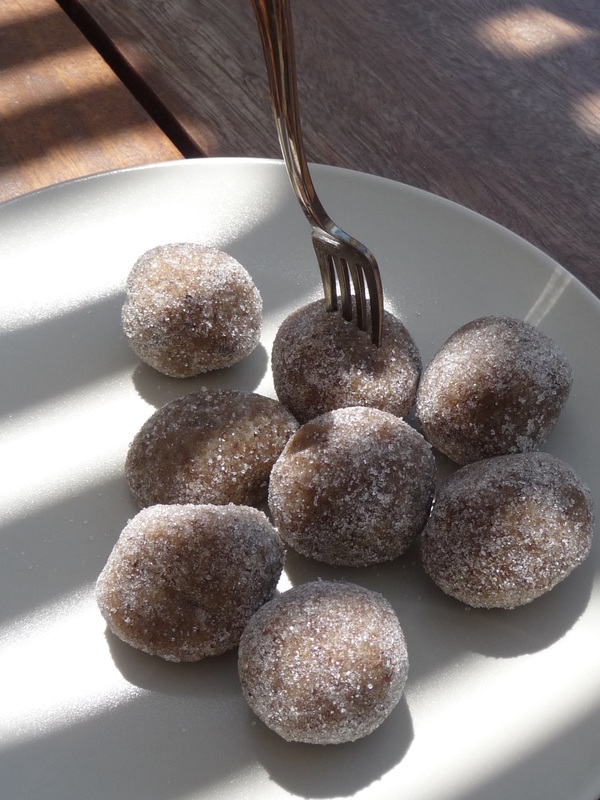 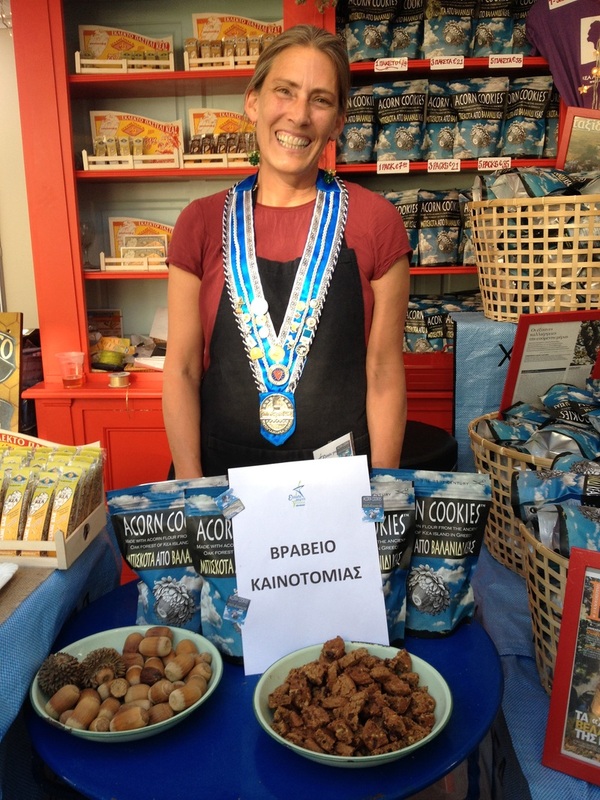 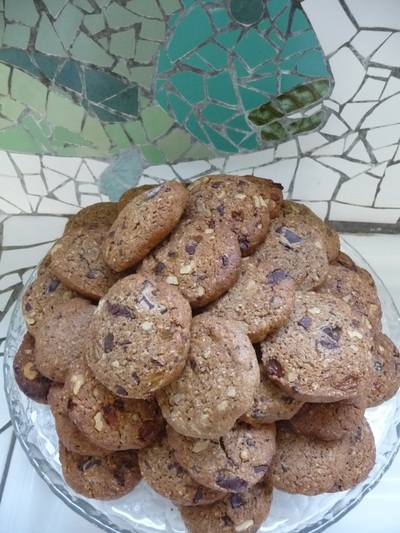 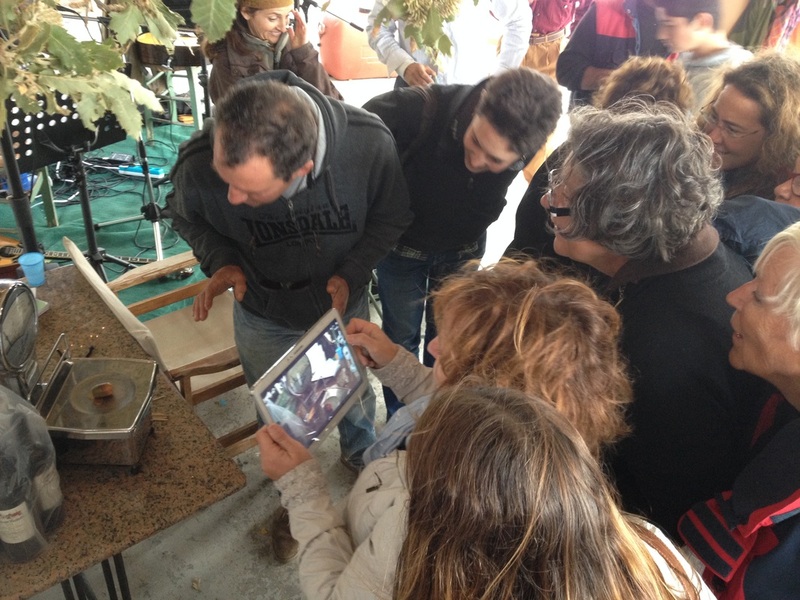 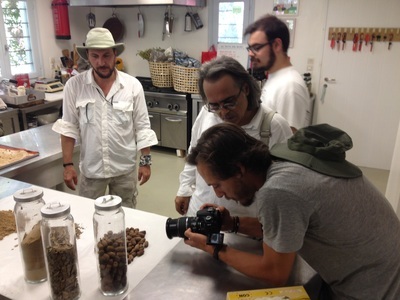 Come taste Acorn Cookies 19 May 2019 in Montpellier, France! Acorns are found across large parts of the planet. 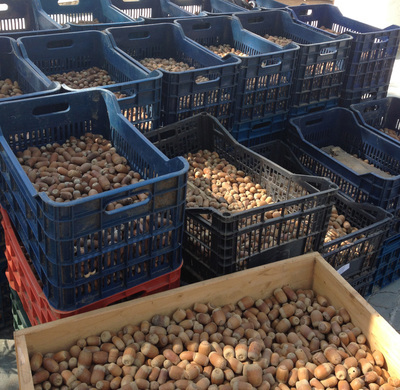 Acorns are high in protein, potassium, magnesium, calcium and vitamin B6. 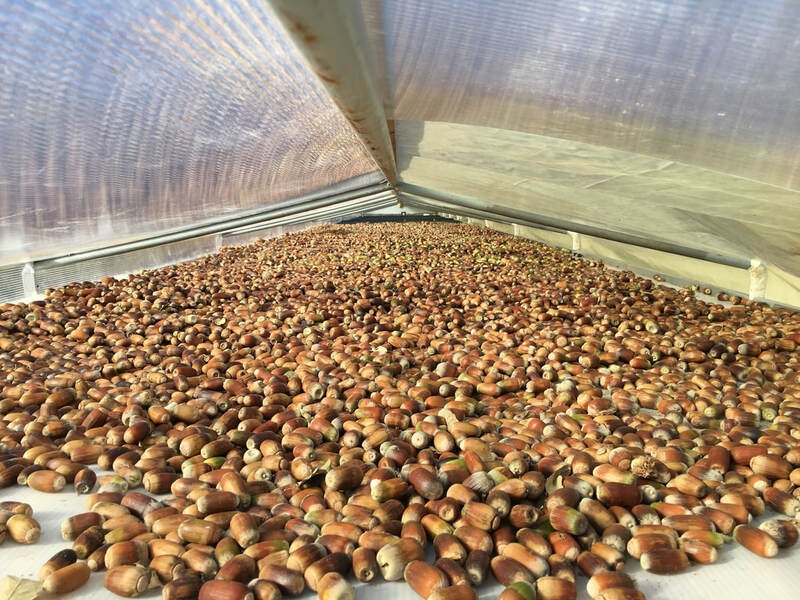 Acorns are gluten free. 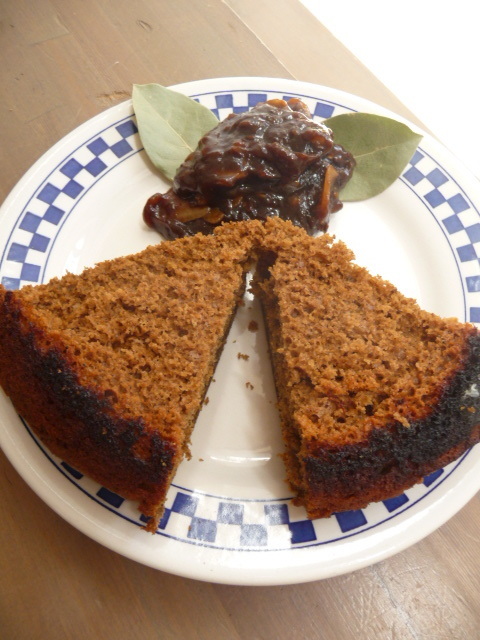 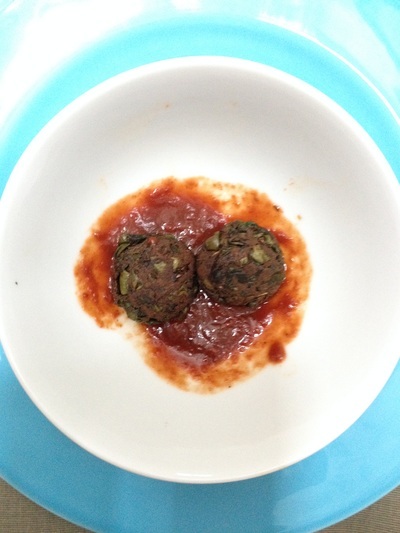 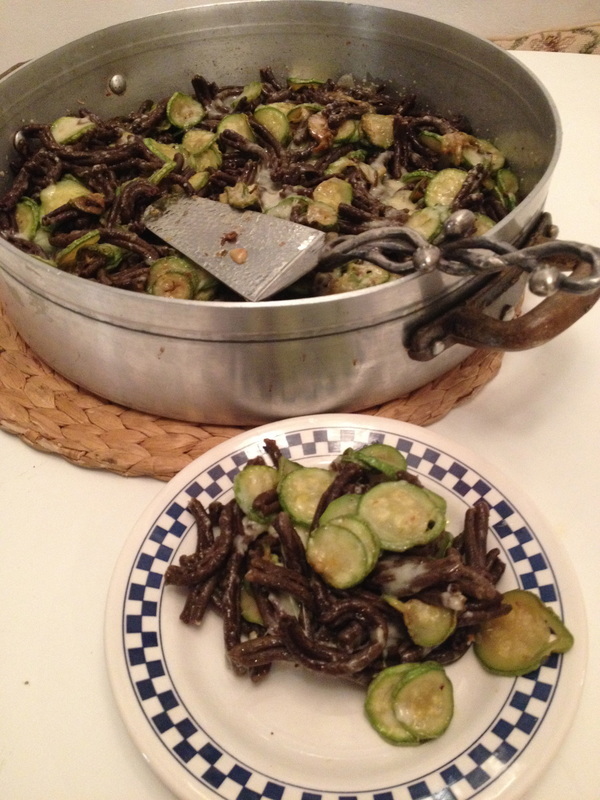 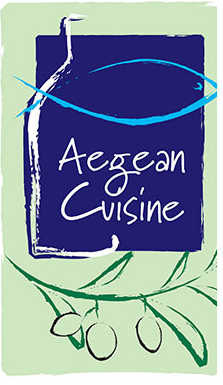 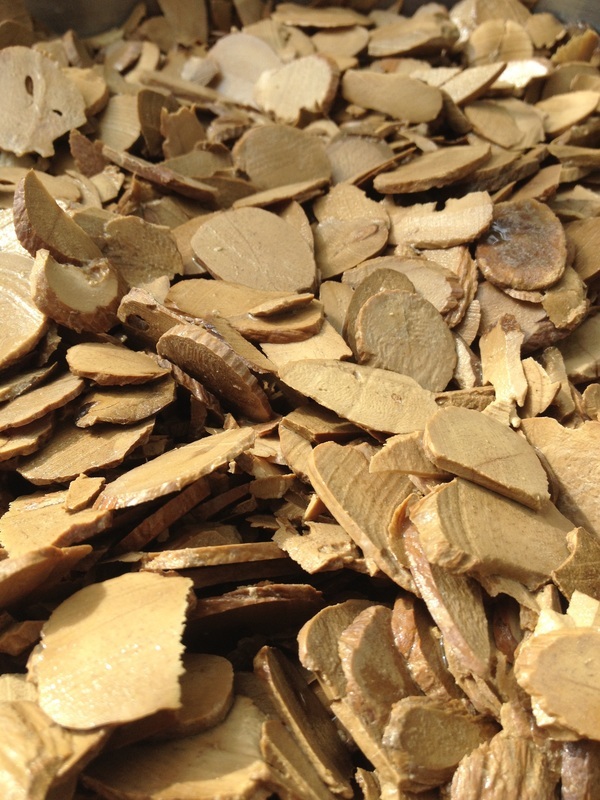 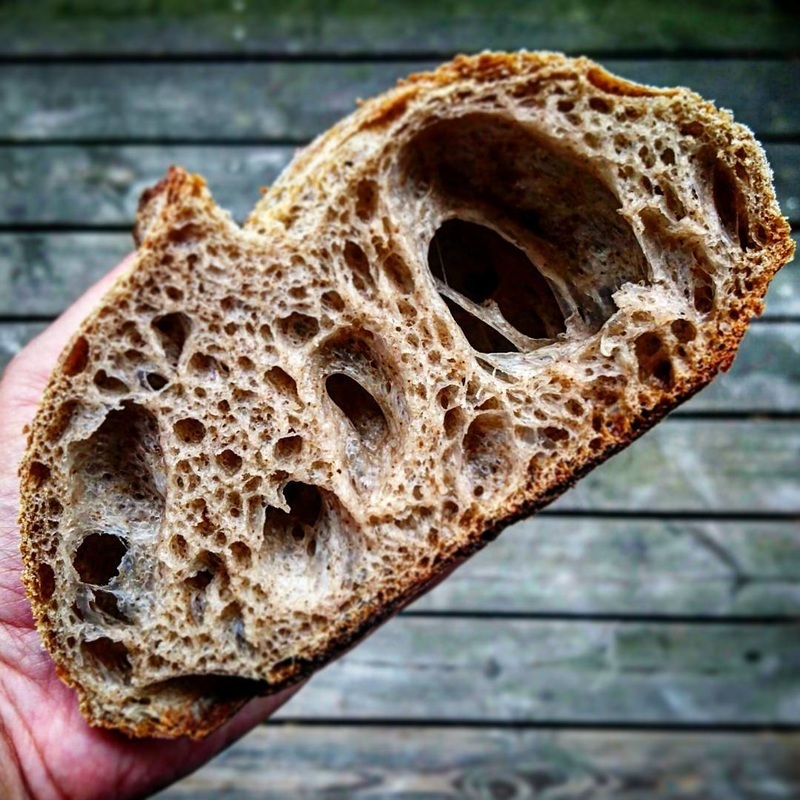 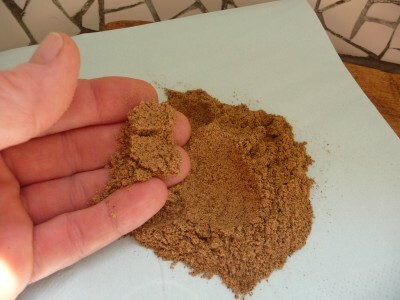 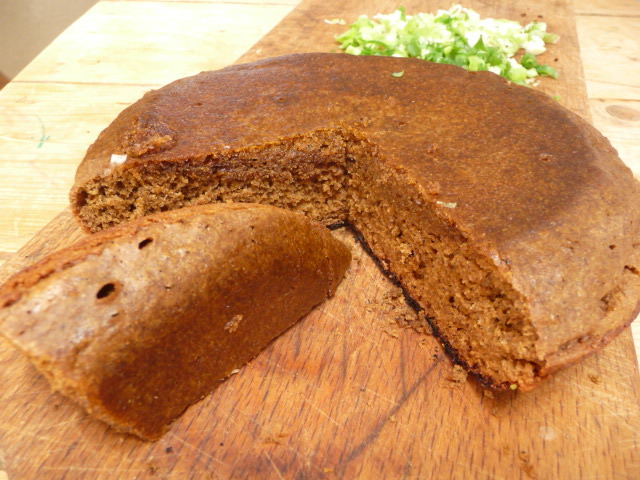 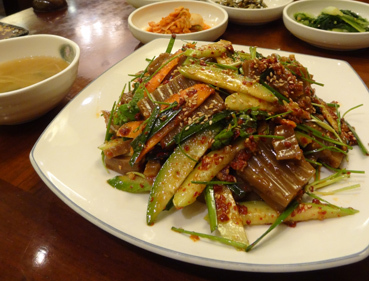 ​Acorn flour can be used in place of wheat and corn flour and has more fiber than both. 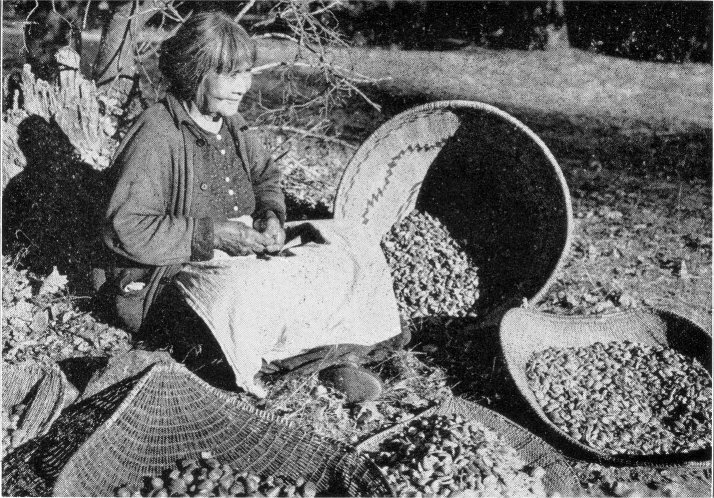 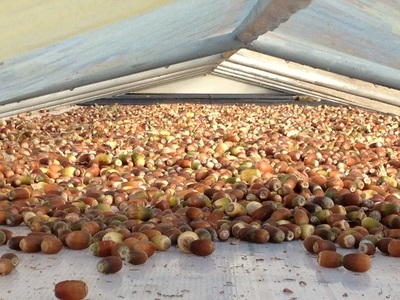 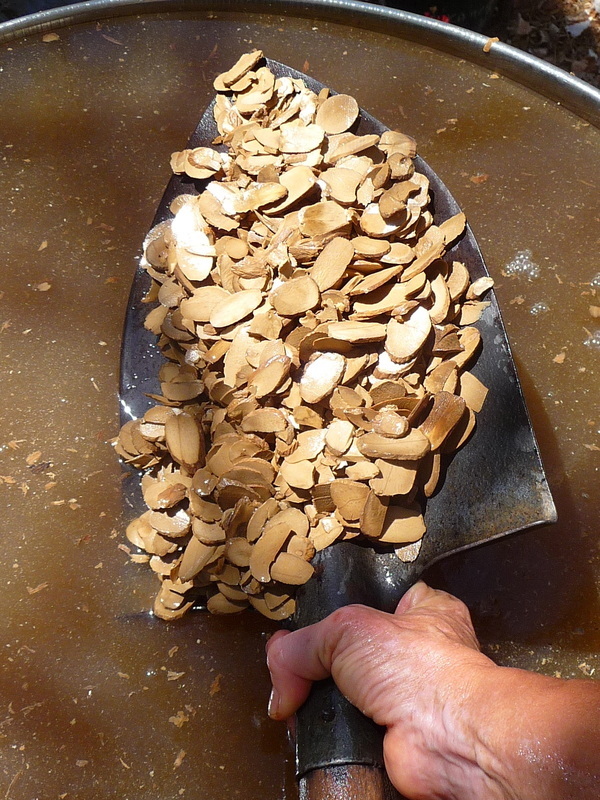 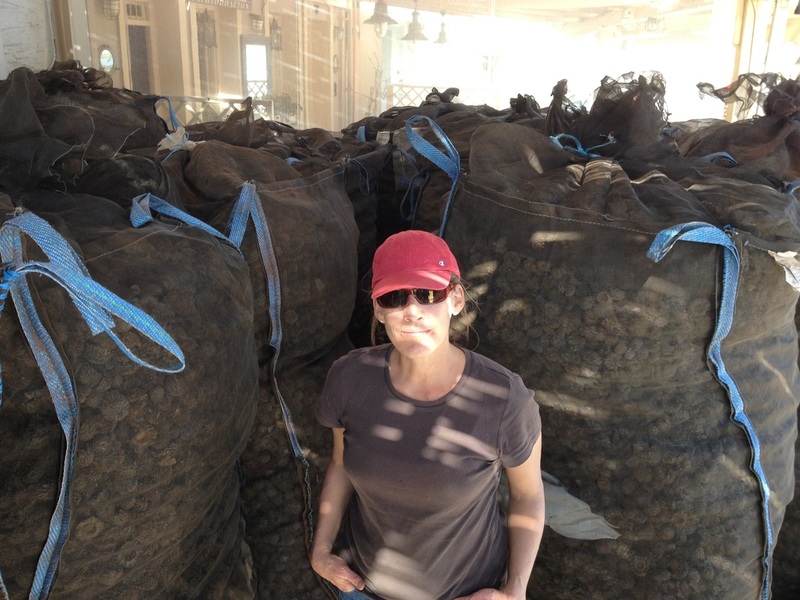 Prepared acorn grain can easily be stored for long periods of time. Archeological evidence demonstrates that acorns have been eaten for a very long time. 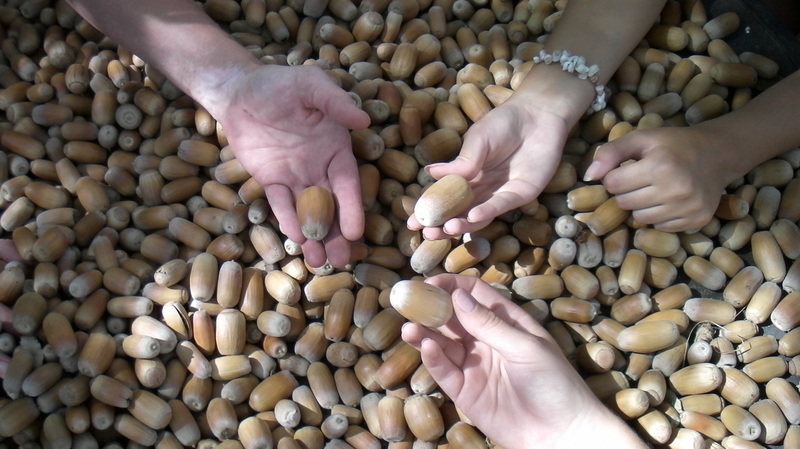 Volunteer opportunities for acorn enthusiasts during October each year. 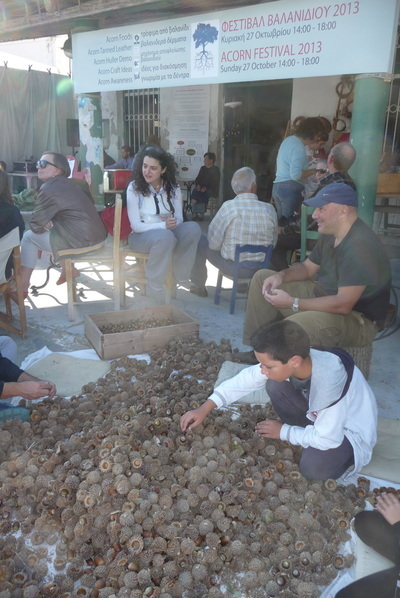 Annual acorn contest for heaviest nut! 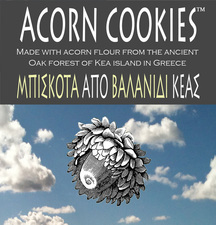 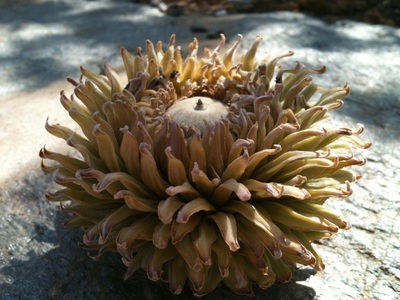 Q. Ithaburensis acorns on Kea grow to giant sizes. 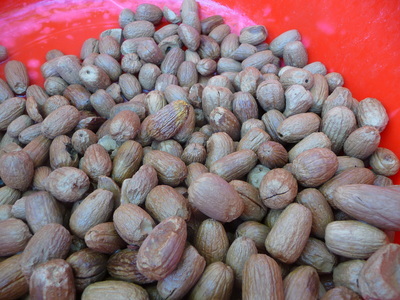 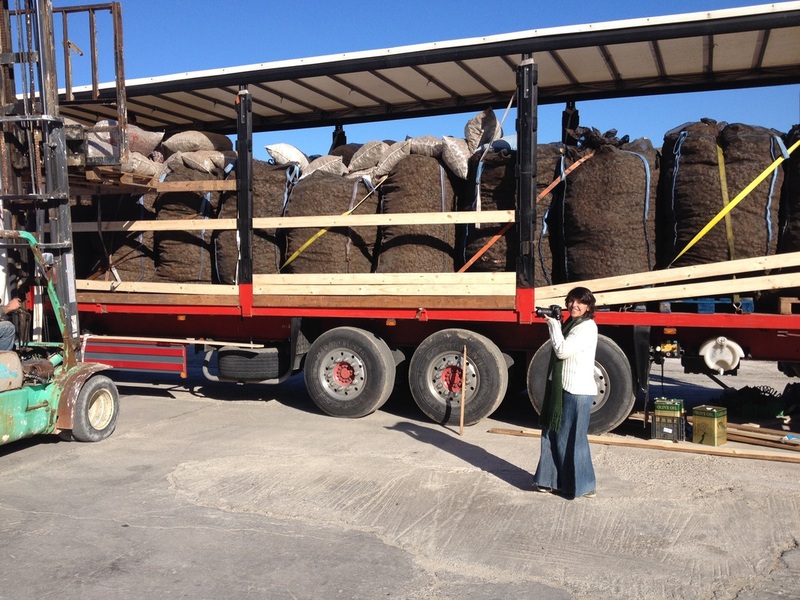 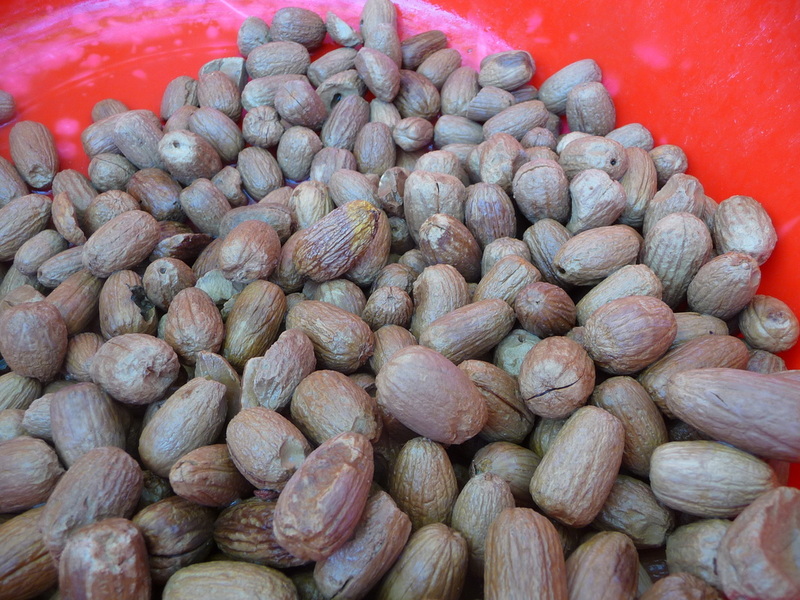 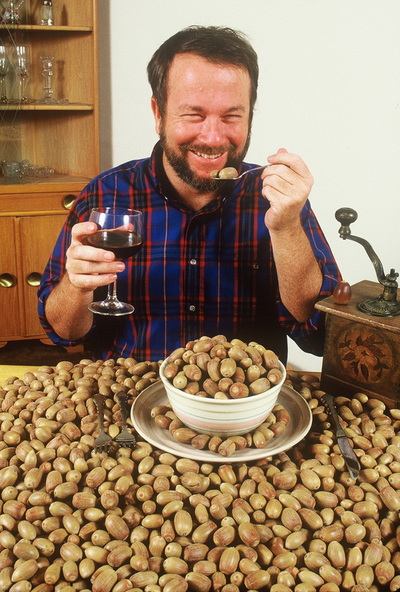 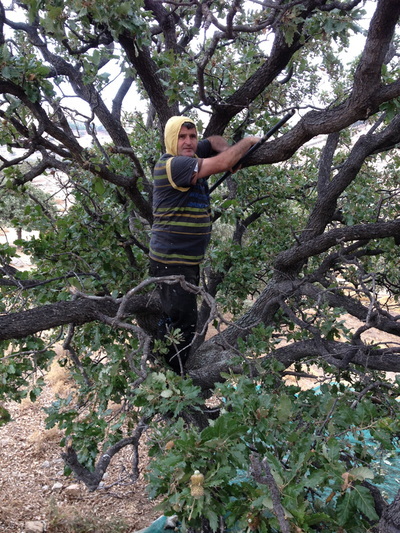 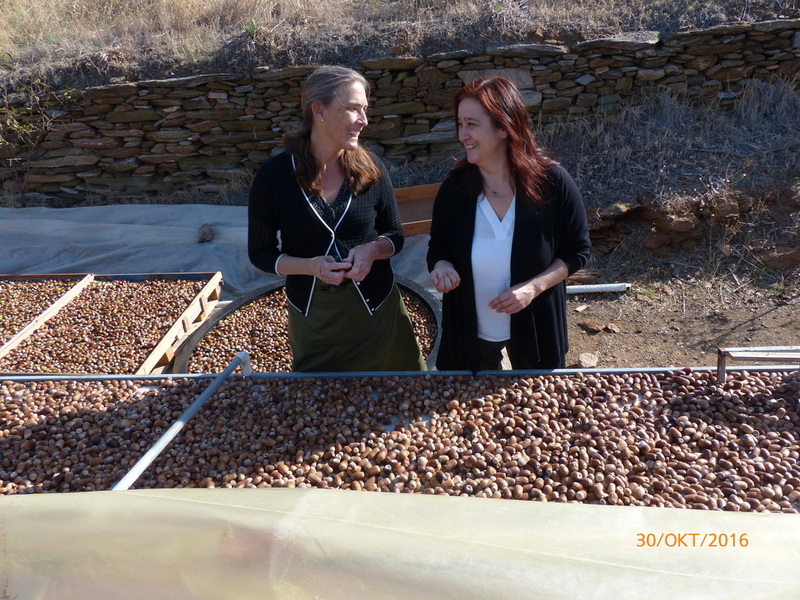 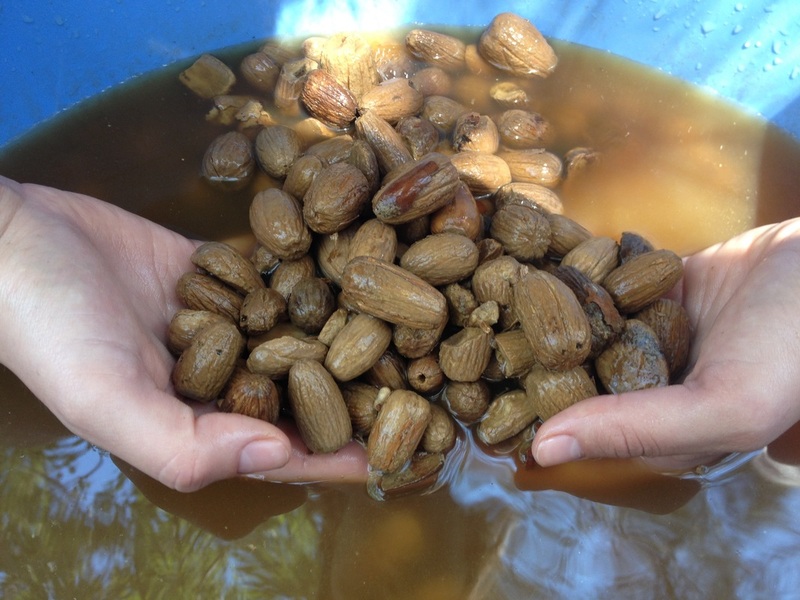 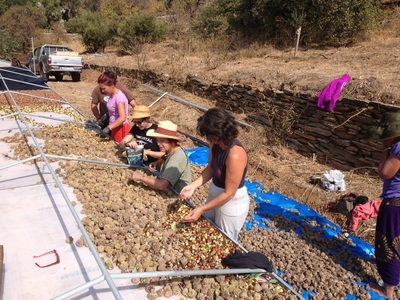 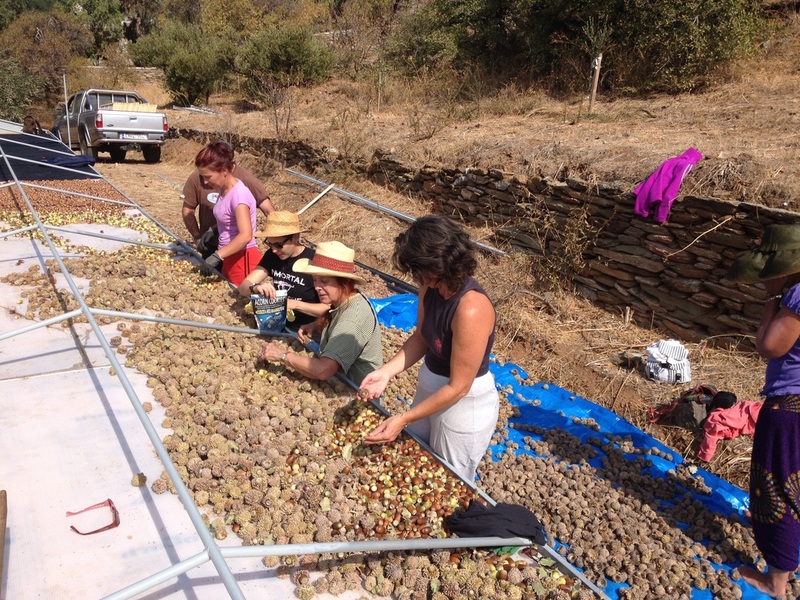 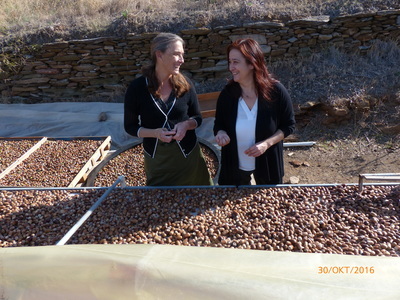 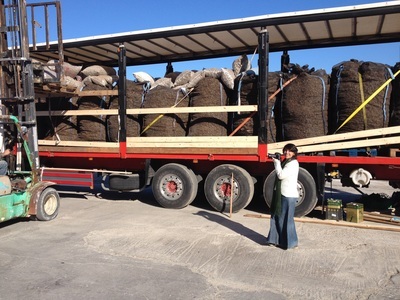 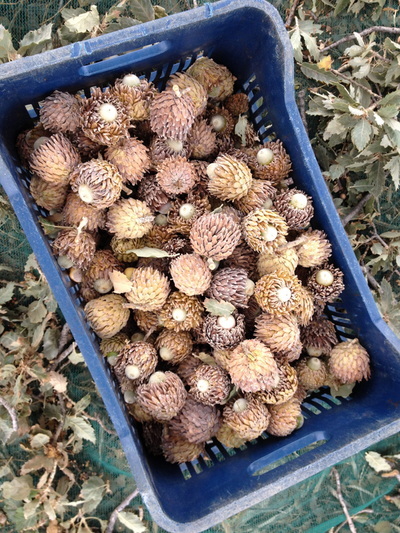 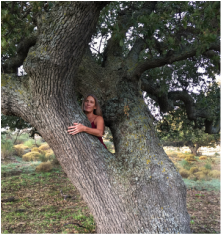 Dry Mediterranean climate results in smaller trees with larger nuts. 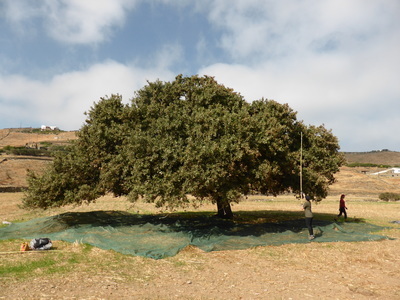 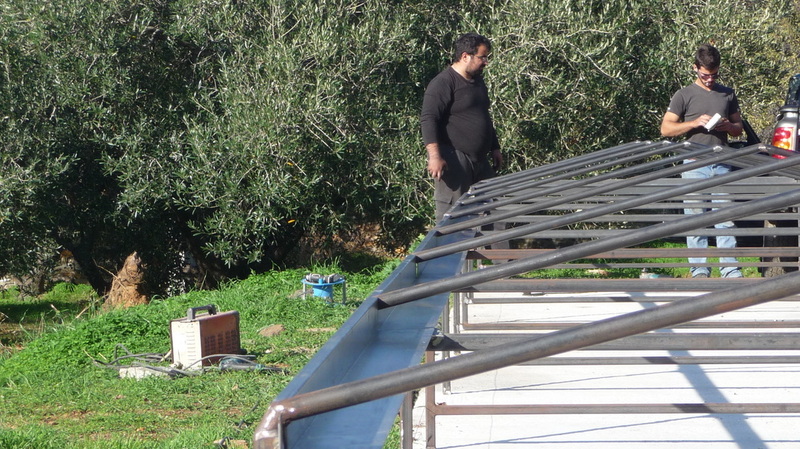 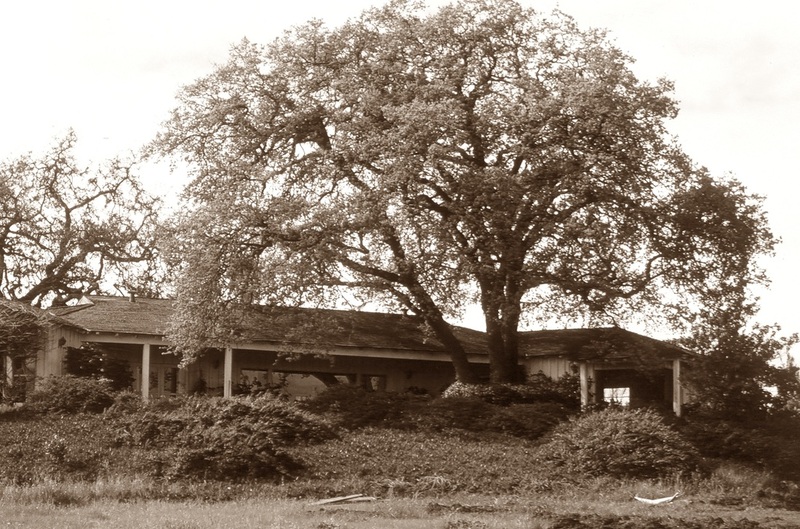 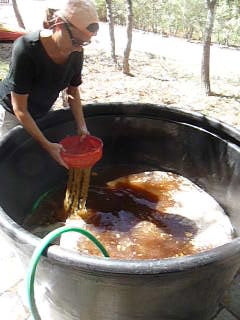 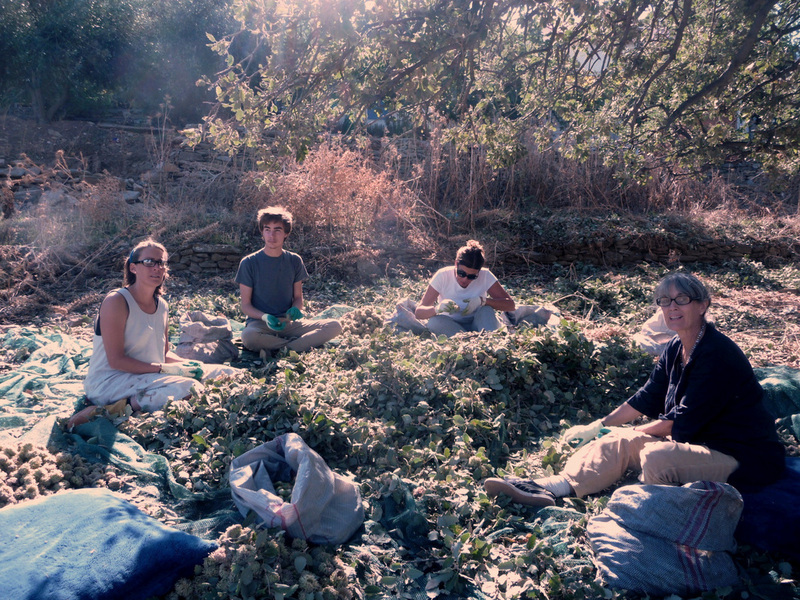 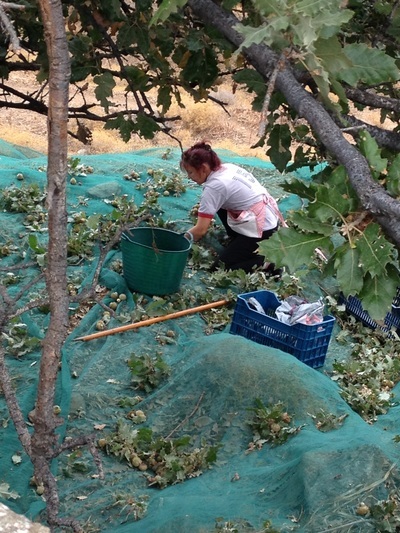 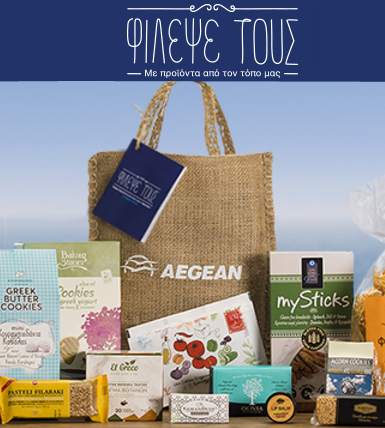 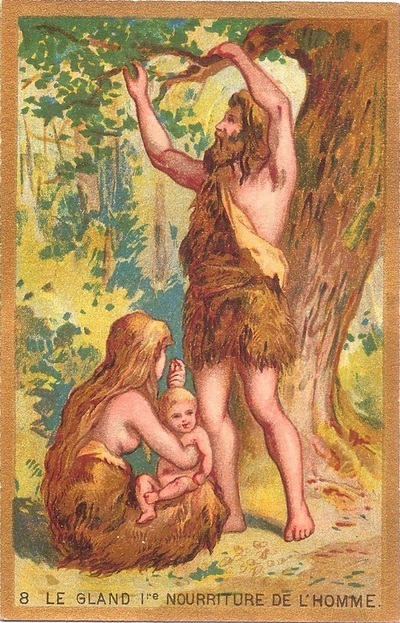 Larger trees are netted and gathered with similar methods to olive harvesting. 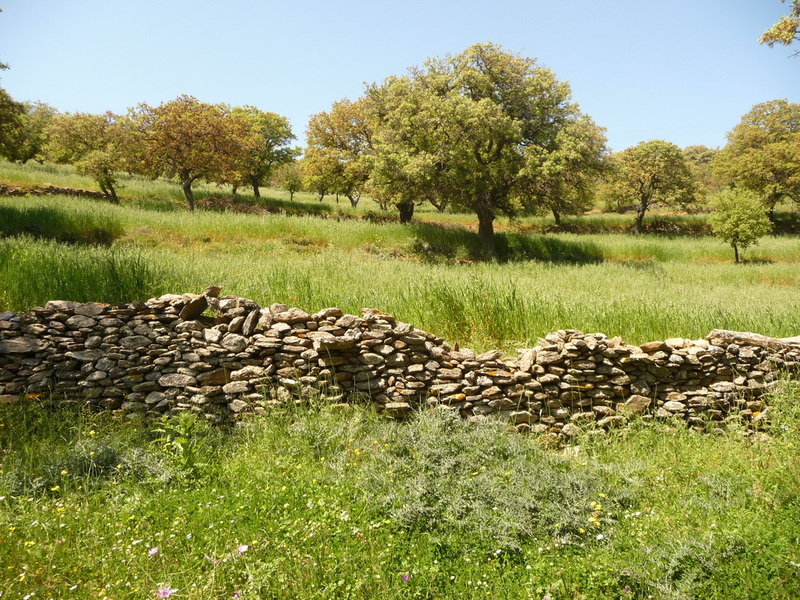 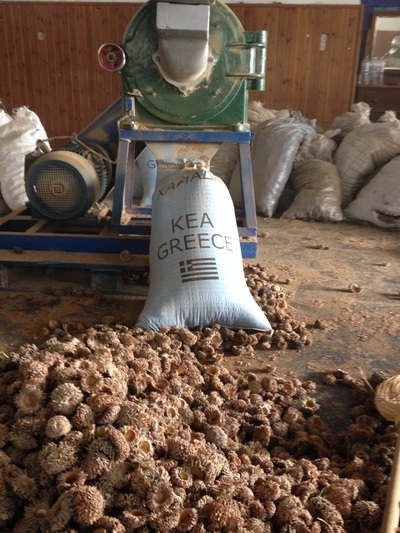 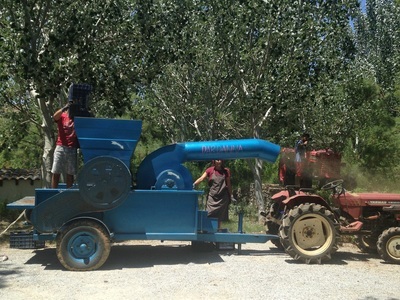 Kea island's traditional farming practices are similar to the Dehesa Mediterranean agrosilvopastoral system in Spain. 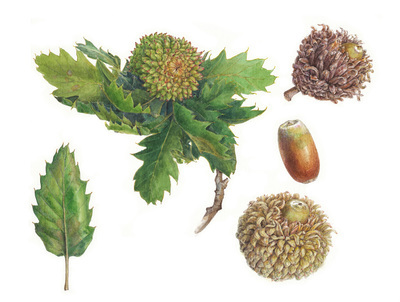 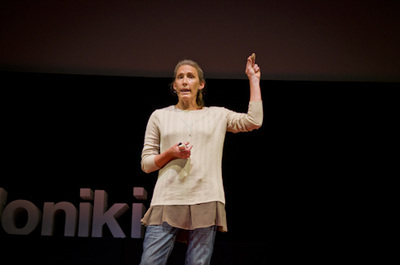 This site has heaps of information concerning practical steps toward re-introducing acorn into our daily lives. Please explore the site and visit again, information is often added as we expand our knowledge of amazing acorn.